Disease-resistant tomatoes: do they really exist?? 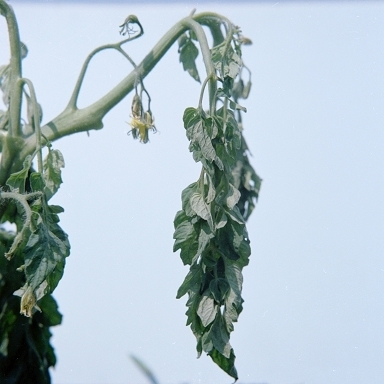 After a couple summers of watching my dear heirloom tomato varieties die slow deaths from blight after a month or so of big yields, I was becoming disheartened. I started looking at the “disease-resistant” hybrids at the local garden center, and wondered if they’d indeed be able to ward off the various blights that got my plants every year. Among various other attempts to keep my heirloom plants healthy, I’d tried organic fungicides, watering only at the base of the plants (and only in the mornings), and one weird planting technique: putting a couple tablespoons powdered milk, epsom salts, and compost in the hole in the ground before putting the tomato plant in. However, nothing really seemed to work. So, I started buying hybrids in addition to heirlooms to see if they fared better. Nope. They all started getting the yellowing leaves with brown spots starting at the bottom limbs, which eventually climbed up the plants, at which point they stopped flowering. Then I got all into pruning off the diseased limbs. Tomato bonsai! I think that was the best tactic. It seemed not only to prolong the life of the plants, but they also didn’t look so sick.